Laura and Rich's invitation suite was one of my absolute favorites from last year. Their New York Yacht Club wedding was packed full of sweet elegance with a lush seaside garden feel. Their coral and soft gold letterpress invitation suite set the tone just perfectly and we carried out their designs in their day of details too! Isn't that metallic chevron envelope liner to die for?! 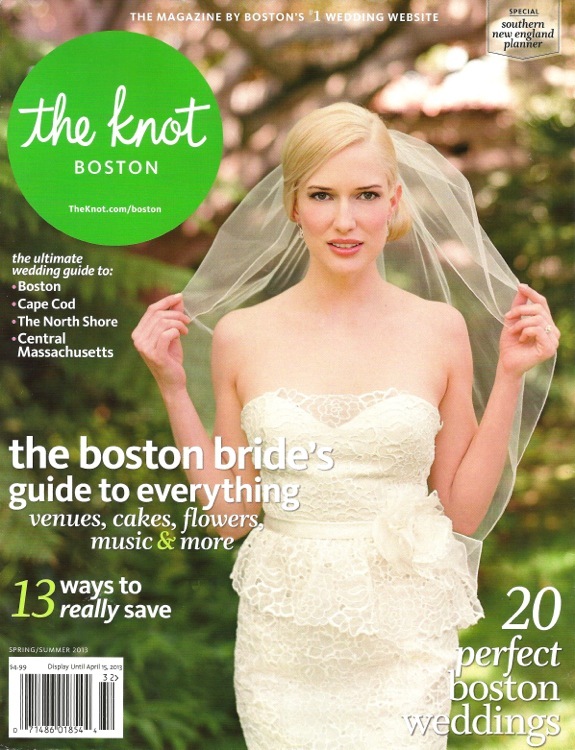 Well, we were beyond excited to hear that The Knot Boston loved Laura & Rich's wedding enough to publish it in their magazine as well as online!! Check out the beautiful feature on their website and get ready to be inspired!